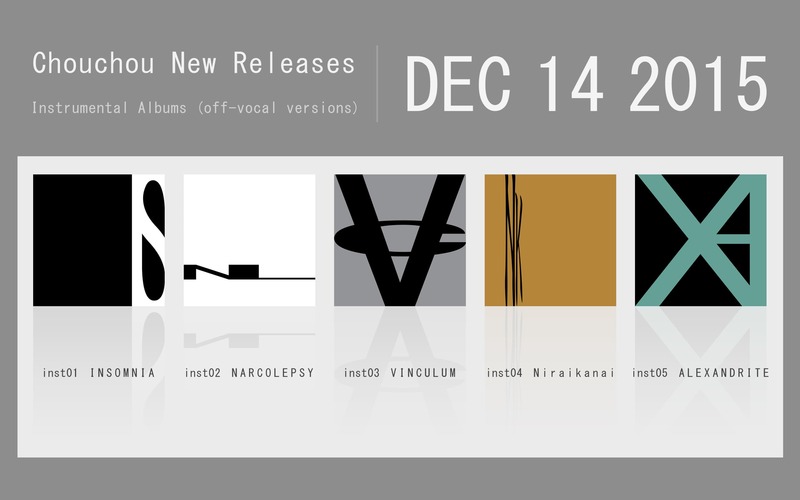 We will release instrumental albums (off-vocal versions) of INSOMNIA, NARCOLEPSY, VINCULUM, ALEXANDRITE and Niraikanai on Dec 14th, 2015. Digital download only. High-resolution audio formats will be also available.